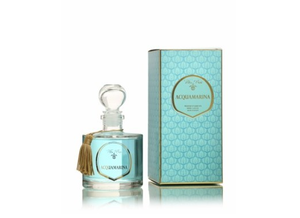 Reed diffuser - Acquamarina, essential oil with a fragrance with fresh and aquatic notes, 200 ml glass bottle + reeds. 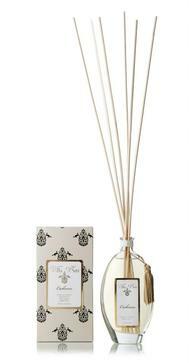 A fresh scent with aquatic notes together with mint and clove. The heart is white flowers, watermelon and thyme. The basenotes are blue and green like the marine vegetation along the Mediterranean coasts.